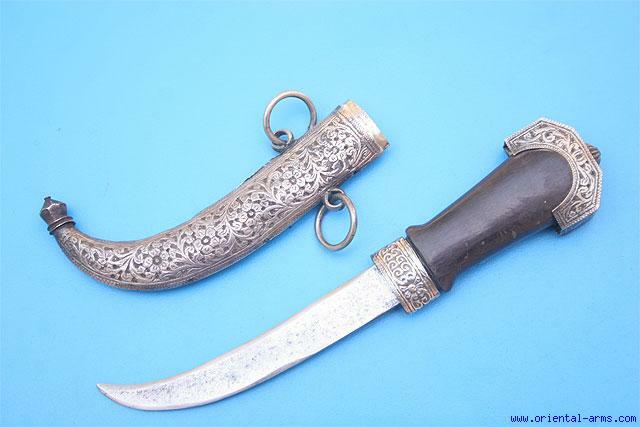 Up for sale is this Miniature, half size Koumaya dagger, Morocco, early � mid 20 C. The blade is 5 inches long. The hilt is black rhino horn with silver mounts. The scabbard is silvered as well. Total length 8 inches. Very good condition. Scabbard seam partially open.